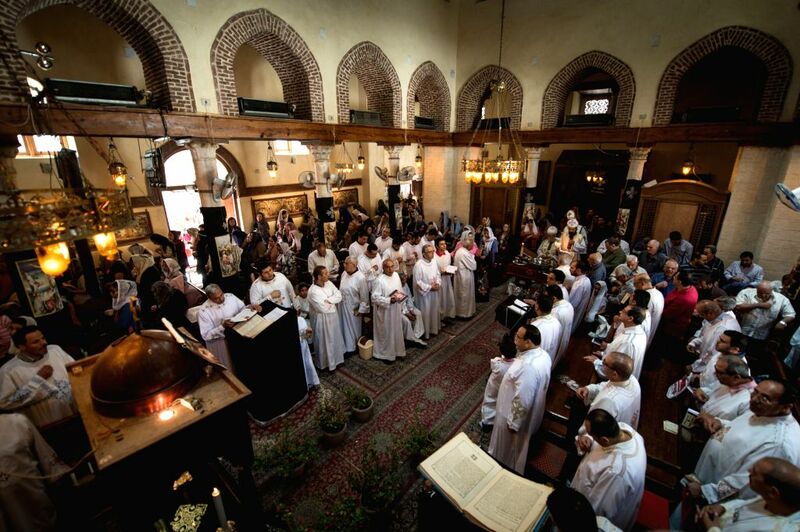 CAIRO, April 17, 2014 - Egyptian Copts attend a mass on Holy Thursday at a church in Cairo, Egypt, on April 17, 2014. 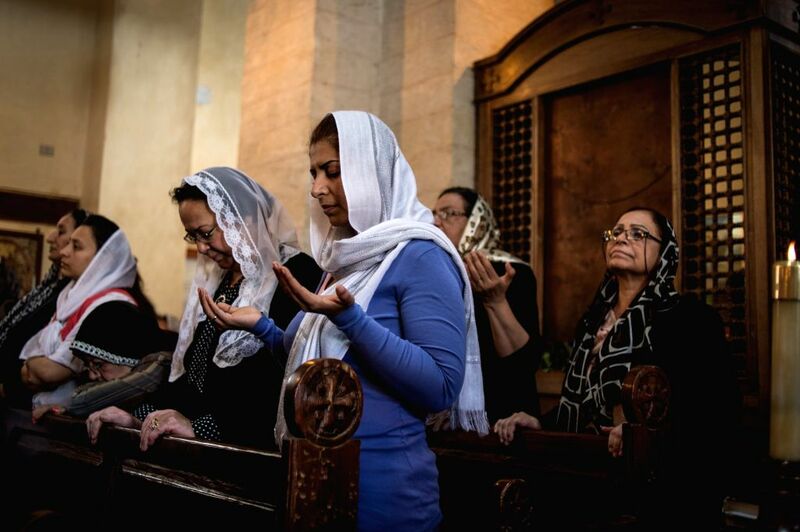 The Copts are the native Christians of Egypt. Holy Week in Christianity is the last week of Lent and the week before Easter. On Thursday of Holy Week, a liturgy is prayed and communion is given to symbolize the Last Supper of Jesus.